This has been a big gardening year for me, in more ways than one. I'm building raised beds, and I'm expanding the size of the garden (not as quickly as I was hoping, though). I'm also growing many things that I've never grown before. One of those is cabbage. 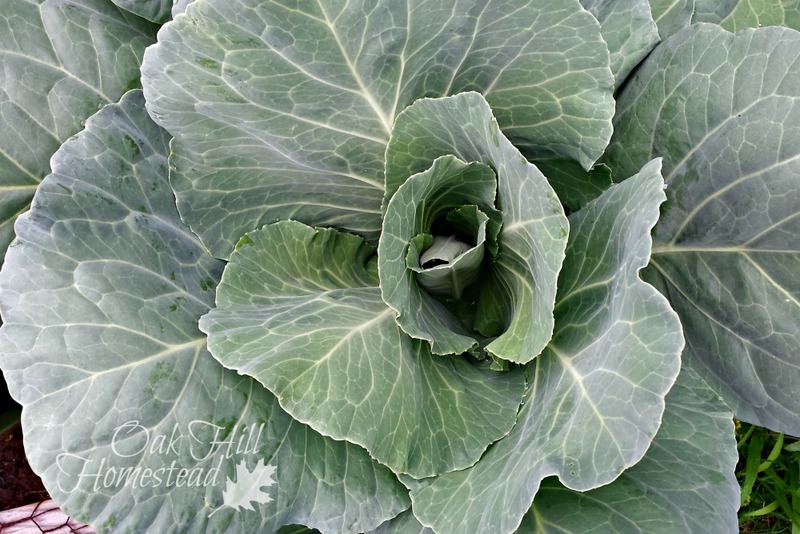 Cabbage is easy to grow from seed, but in early spring a nine-pack of cabbage plants came home with me. I planted them in a four-foot by three-foot area of one of my raised beds. It grew really well. 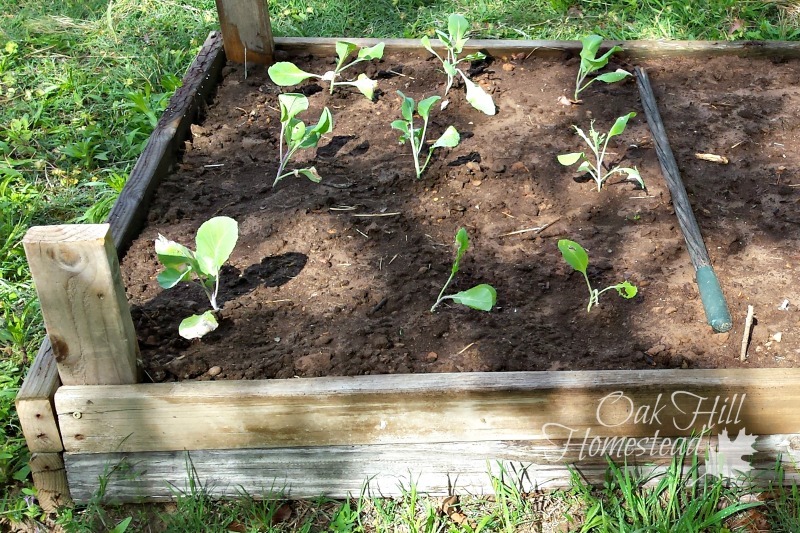 I soon learned that cabbage plants need more than a square foot of space per plant. 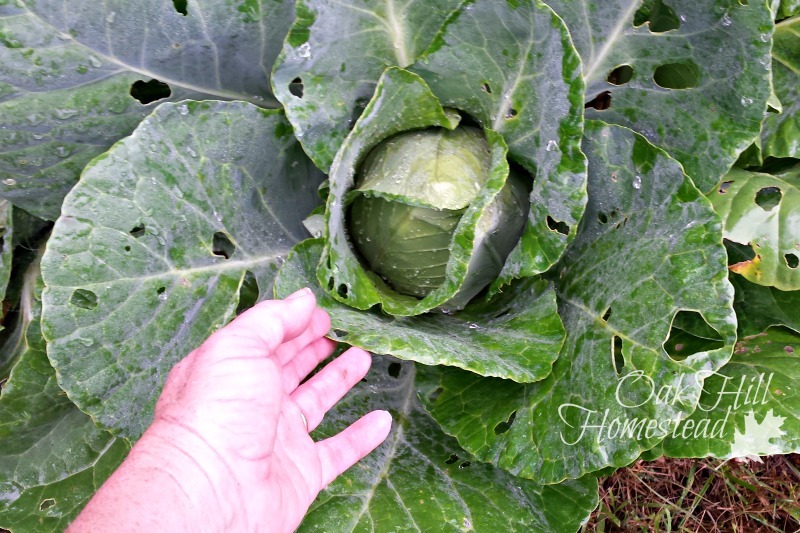 According to Bonnie Plants, cabbages should be planted 18"-24" apart - and I believe it! I surrounded each plant with a ring of crushed eggshells to deter slugs and cutworms. My plants were huge and gorgeous. But I wondered when they would start forming "heads" and if I was supposed to do something to make that happen. I did some research but didn't find anything addressing this question specifically... but I also didn't find directions to "do something," so I didn't. Eventually I learned that all I needed was patience; the plants began forming heads on their own when it was time. One morning my beautiful cabbages had holes in the leaves. I knew that meant the dreaded cabbage worms had arrived. I picked off half a dozen little green caterpillars and dropped them into a jug of compost tea because that's what was convenient. I whipped up a gallon of garlic spray by combining 1% minced garlic, 1% fish oil, and 98% water. (See my post on measuring by parts if you need a little help with the measuring.) Let this brew overnight, then strain out the garlic and pour the solution in a pump sprayer. 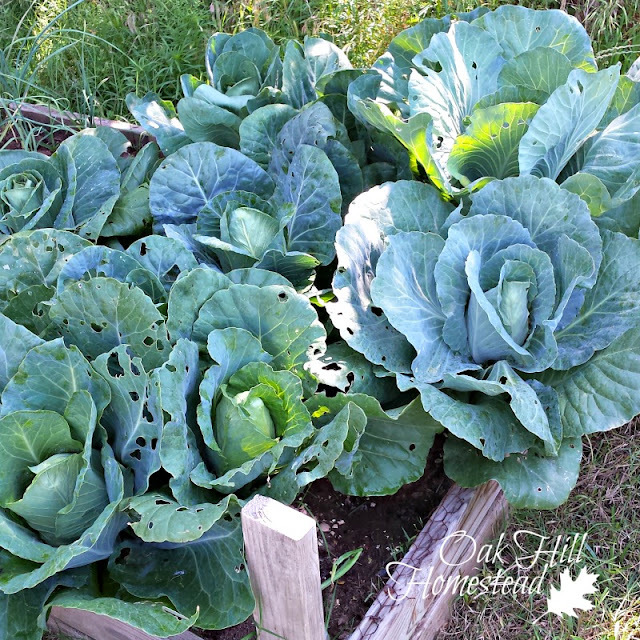 Spray liberally on the cabbage leaves and head to repel the cabbage worms. Since it rained nearly every day for the next two weeks, I reapplied the spray after each rain. My flock of chickens share the garden waste with my compost pile. They were thrilled to get the tough outer leaves of holey cabbage and if there were any little green worms on them, the hens slurped them down like candy. Early Jersey Wakefield cabbage takes approximately 70 days to harvest. Next year I'm planning to cover the plants with screen as soon as I plant them to hopefully thwart the cabbage moths from laying their eggs. I'll keep you posted. Related Posts: what to do with nine heads of cabbage! 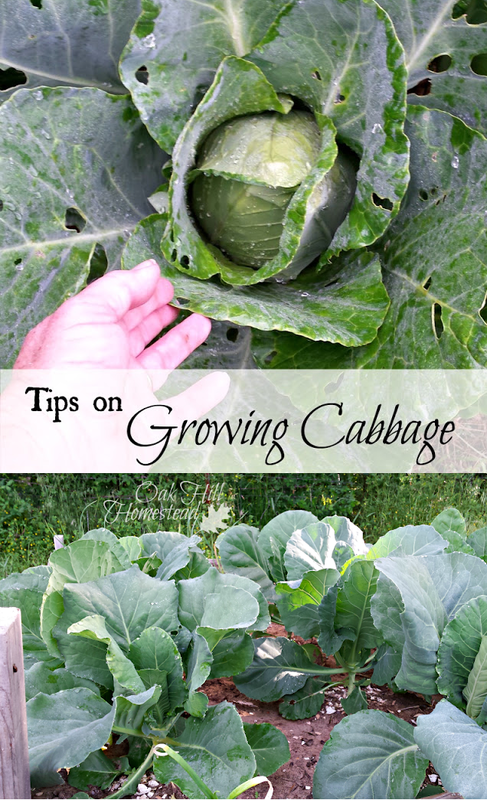 Thank you for this guide, it gives me a little more confidence that I might actually succeed in growing leafy vegetable like cabbage. In the past I've always been put off by the prospect of fighting against pests, but your natural remedy sounds like a great solution. Don't be afraid to try, Catherine. And if you can - this is what I was planning to do but didn't get it done early enough - cover the cabbage plants completely with screen or netting to keep the butterflies from laying their eggs at all. 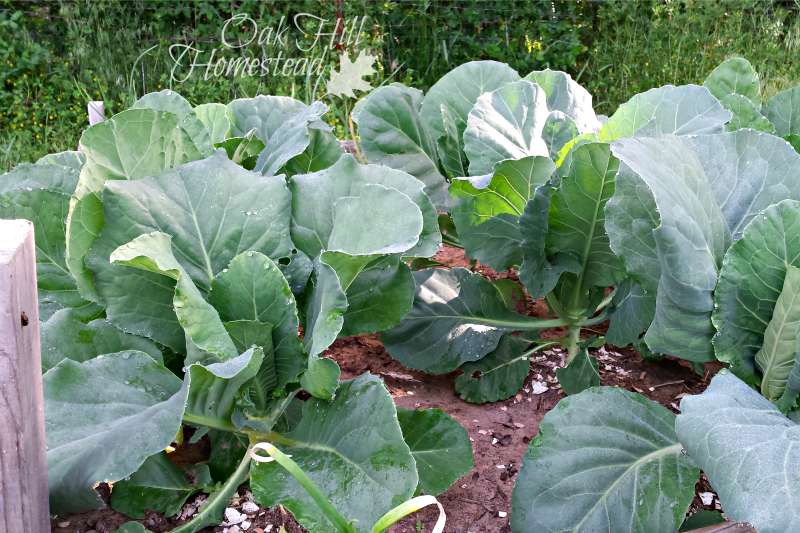 No cabbage worms! What a great tip, Gayla. Thank you so much for sharing it! I wish cabbage grew well down here, but it's just too darn hot! I hate those cutworms! Ugh, heat is a problem here too in the deep of summer. I hope you can figure something out, Nila. Not sure where you are, Nila, but we're in Central Florida. 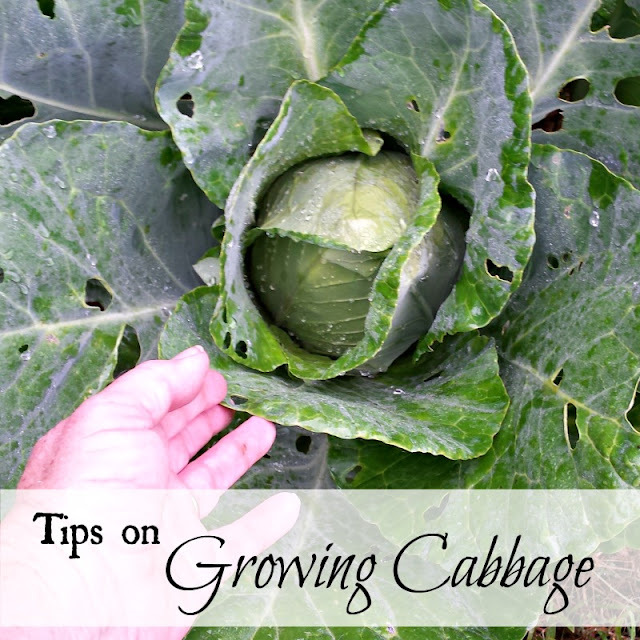 Cabbage grows well in the south during the fall and winter seasons. I have gotten used to switching up my crops to accommodate the heat. thanks so much for this information, I hope my cabbage work better with these tips! Thanks for adding this to From The Farm, this is one of this week's favorites! Good luck, Heather, I hope it helps! 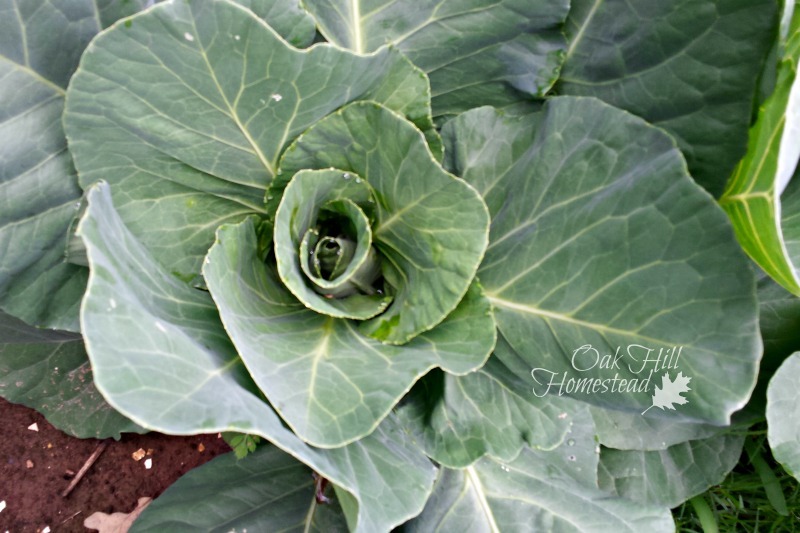 Thank you for sharing your recipe for cabbage worm spray. I'll have to pin that one for future use. So glad you are having success with a new crop. Very exciting! Daisy, I'm enjoying this year of stretching my gardening knowledge. Thank you for your encouragement, always! In the health and beauty section. Fish oil, cod liver oil, krill oil, etc. Thank you for visiting - I hope that garlic spray will help your sweet potato vine. I love reading about organic methods of pest control, Kathi. I've always hesitated to grow cabbage because of the bugs so I really enjoyed this post. Pinned to a group board. Thank you for sharing with us at the Hearth and Soul Hop. Thank you so much, April! The best method of all is to cover the plants with mesh while they are small, to keep the butterflies from laying their eggs in the first place. That's what I'm doing next year! Thank you for the advice, Kathi! Also, just wanted to let you know that I'm featuring this post at the Hearth and Soul Hop this week. Thank you again for sharing it. Thank you for featuring the post on this week's hop, April! I hope it works for you too, Kim. I love cabbage! The worms are the biggest problem I face, too. I'll have to try your organic remedy. Where do you get your fish oil? I've got some started in the garden. I hope to have some to harvest this year. I bought the fish oil at the grocery store in the vitamin aisle (vitamin A, B12, C, etc). I suppose it's replaced the cod liver oil of my youth. There are capsules and the liquid.